Mālama Kakanilua and members Clare H. Apana and Kaniloa Kamaunu filed suit against Maui Lani Partners’ sand mining operations with Maui’s Environmental Court on Thursday afternoon, July 27, 2017. The complaint alleges Maui Lani Partners is continuing “ground disturbing activities” at its Maui Lani Phase IX site, claiming the work is in violation of Hawai‘i’s historic preservation laws, County grading permits, County zoning laws, and the public trust. Mālama Kakanilua is a hui formed years ago to protect ‘iwi, burials, and other historic and archaeologically sites in Maui County. The group is named for Kakanilua, a famous battle that occurred in the sand hills of Central Maui. 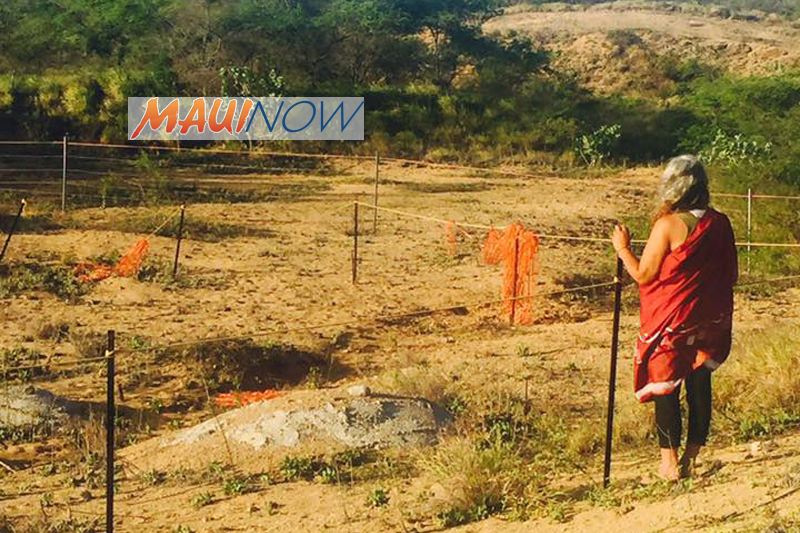 “It has been over ten years, we have been asking Maui Lani Partners and state entities to protect the ‘iwi kupuna, these ancient burials of the sandhills of Maui,” said Apana, a cultural practitioner and founding member of Mālama Kakanilua. In recent months, Maui County Environmental Coordinator Rob Parsons said the practice of excavating Maui Inland sand and shipping it to Oʻahu first came to light for him in 2003, his first year he was appointed by Mayor Arakawa. In April, Arakawa explained that construction projects were stalled when the recession hit, so sand mining wasn’t as a pressing concern when he started his second term. He said that with the economy back in gear, it has become an issue once again. 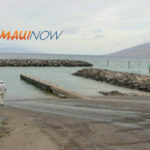 In July, the Office of Hawaiian Affairs called upon Maui Lani Partners to temporarily cease all sand and other resource extraction and grading. Maui Now sought comment this morning from Maui Lani, but did not receive a response by the time this story went to publication (*We will amend appropriately if comment is received later today). 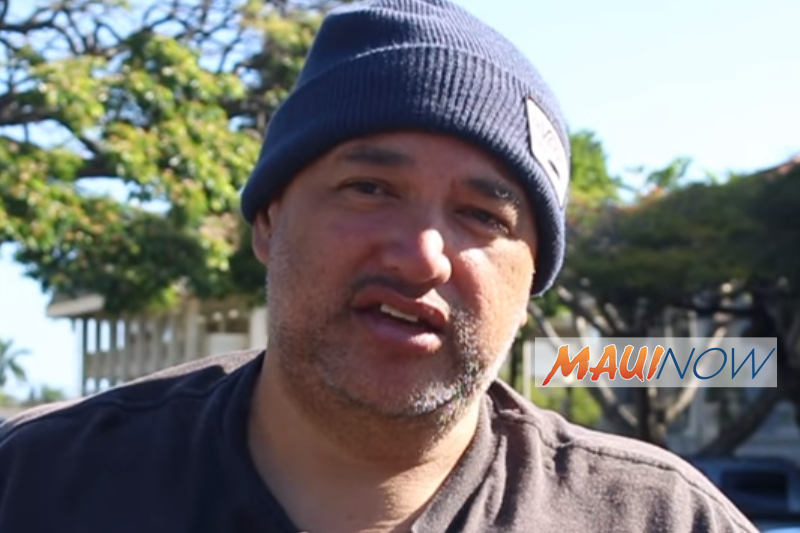 According to an investigative report filed by KHON2, shared ownership interests connected a Maui Lani developer to an excavation company that sold millions of dollars worth of cement to the Honolulu rail project. 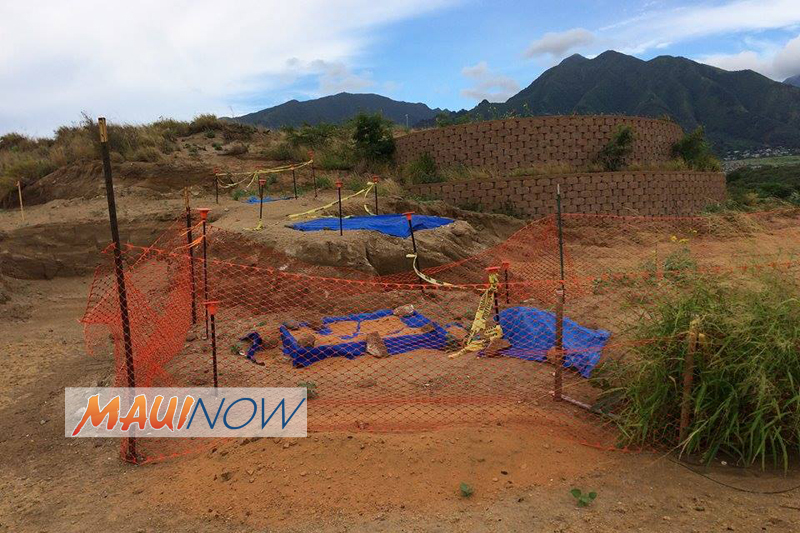 The same report noted that Maui Lani has said all earth-moving activities are done under archaeological monitoring. 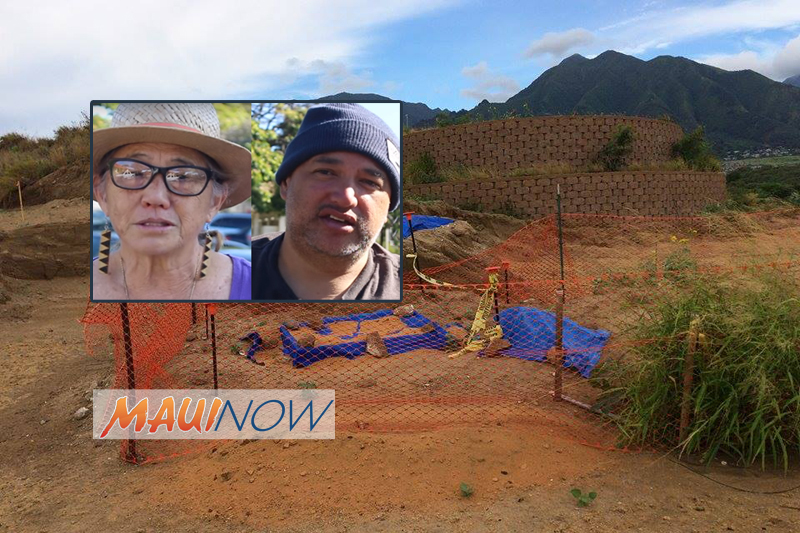 Those filing the lawsuit say that despite a warning from issued to Maui Lani Partners on April 28, 2017, community members have since reported seeing sand hauled away from the Maui Lani Project areas and ground disturbing activities at the Phase IX site. Kamaunu and others who joined in filing the lawsuit are represented by Maui attorney Lance D. Collins. 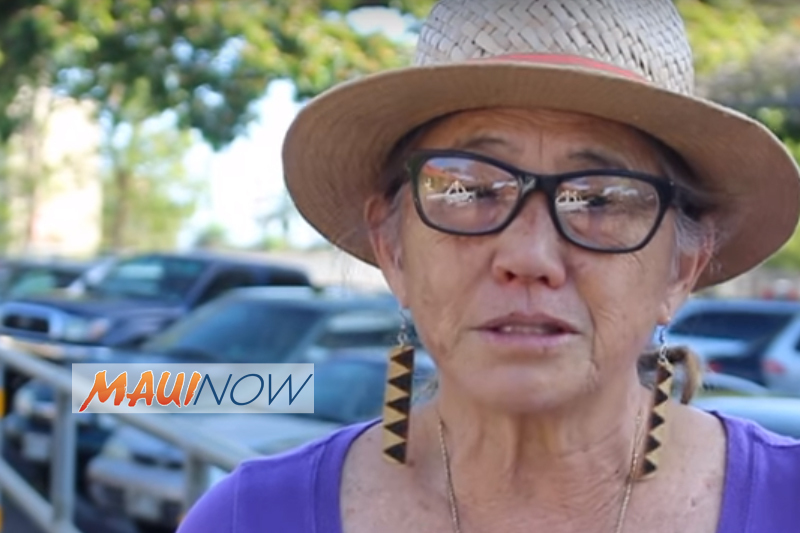 *Video from May 3, 2017 demonstration in Wailuku. Clare H. Apana. PC: by Wendy Osher. Kaniloa Kamaunu. PC: by Wendy Osher.